If you are looking for a cheese with some history behind it, then this is the cheese. 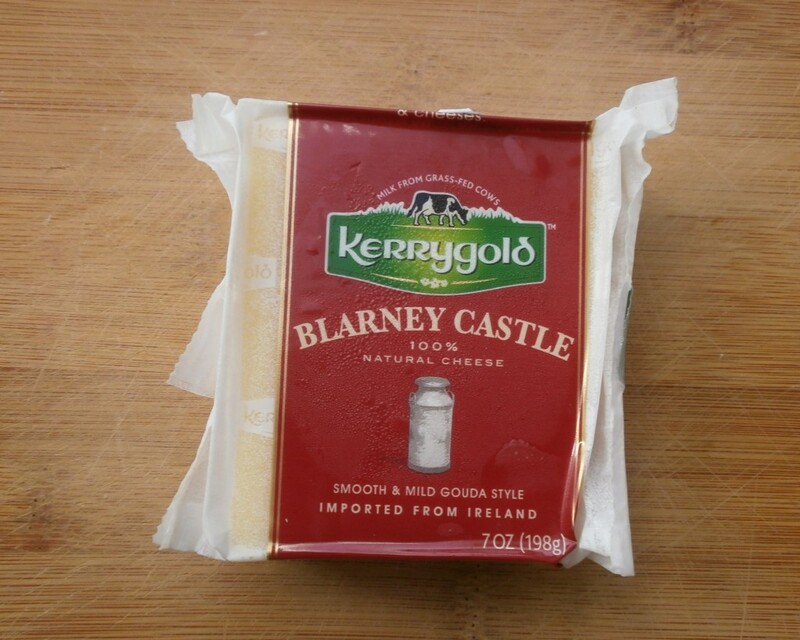 Kerrygold Blarney Castle Cheese is named after Blarney Castle in Ireland. Blarney Castle was first built sometime before 1200 AD. A stone fortification was built in 1210. The castle was destroyed but rebuilt in 1446. The castle was built to protect the herds in a fertile land. Today, the castle is a popular tourist spot. The Blarney stone is there. People come to kiss the stone in hopes of getting the “gift of gab”. Imagine the germs on that stone! Now onto the cheese. The cheese resembles Gouda. It is smooth and creamy. It is mild in taste. One of my favorite Kerrygold cheeses that I made sure to pick up every single St. Patrick’s Day. I purchased my 7 oz block from Busch’s in Saline, Michigan. As with all Kerrygold products, this cheese is made from milk from cows who are grass fed.